Apple iPhone SE 2 Tipped to Look & Feel Like the iPhone X. You are here: Home / Weekly Columns / Opinion / Apple iPhone SE 2 Tipped to Look & Feel Like the iPhone X. (ThyBlackMan.com) If recent reports are any indication, the Apple iPhone SE 2 release is set for May 2018. The company hasn’t confirmed the name, but we are going with this only. The iPhone SE 2 will be powered by A10 chip, the same processor that powers Apple’s iPhone 7 and iPhone 7 Plus released in 2016. The original iPhone SE runs on the A9 chip so it’s an obvious upgrade for its successor. 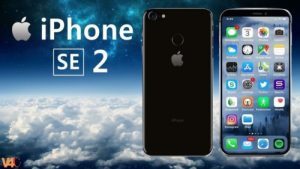 The Apple iPhone SE2 release is possible for several reasons. Nothing in the iPhone SE’s hardware is particularly impressive. Its design is same as the iPhone 5, and its cameras are average. The phone doesn’t have a 3D Touch, and overall, it is one of the tiniest phones coming from a major smartphone maker. But what matters the most is the phone is still in demand and there are people who don’t want to take the hassle of handling a large-screen phone. Apple’s iPhone SE is a compact phone. It can be outclassed by any major smartphone available today, but it is adorable. With its 4-inch screen and box-sized body, it gets fit into any pocket. The SE is a smartphone people can easily operate using one hand. People who need a phone for basic use and not a complete multimedia solution, the iPhone SE is still the best they can get. If Apple makes an iPhone SE 2, it would be a great treat to fans, especially those who are living in developing countries. Here’s what some recent reports from various sources, including alleged leakers, have indicated about the iPhone SE 2 specifications and features. Apple, once again, is going to remind people of the ‘change’ in its iPhone design strategy and to do so, the iPhone SE 2 will lack the headphone jack. Leaked details that surfaced online long back have supported the idea of wireless charging in the iPhone SE successor. If it happens, we should expect a glass back in the new iPhone SE 2. While people in the US can afford a high priced iPhone, as career plans play a major role in keeping the overall price less through monthly payment structure, folks in other countries aren’t lucky. The iPhone SE is a budget phone that aims to bring new customers on board. If the rumors are something to go by, a recent report suggests that the iPhone SE 2 will feature Face ID. If it happens, we can expect a rise in the final product’s price which is probably not a smart idea especially when you’re trying to offer a pocket-friendly phone to add more customers to the Apple product ecosystem. The iPhone SE 2 is rumored to come in a new design inspired by the iPhone X. At the same time, some reports are suggesting that Apple will not make any significant changes to the smartphone’s original design and the phone will be available in the same 4.87 x 2.31 x 0.30-inch dimensions. Now when Apple is successful in reducing the bezel size, there is a possibility of having the new phone with a bigger display in the same overall size. It should not be a challenge for Apple. While some reports say this could be a small version of the iPhone X, fans believe that Apple will focus on upgrading internals to keep the price low as much as possible. The iPhone SE is currently available for $349 and Apple is still selling the iPhone 6S for $449. Both the smartphones run on the same A9 chip. The display and other design features available on this phone are responsible for the $100 difference between them. If Apple upgrades to the A10 chip with the new iPhone SE 2, the company can easily justify a little higher price tag for its new phone. Keeping the design elements unchanged will allow Apple to hold the current $349 pricing as well.